A holiday is not just an occasion when you can escape the monotony of life; it is also a chance to meet new people, sample new cuisines and explore different cultures from around the world. If you are planning to go on an international holiday with your family or friends and want something distinct from a clichéd Thailand, Indonesia, Australia, US or UK trip, then check out these ten underrated tourist destinations that can give you the best holiday of your life. Krakow is among the oldest cities in the country and the former capital of Poland. What makes Krakow a fantastic holiday destination is its wonderful medieval core and Jewish heritage. Situated at the foot of Royal Wawel Castle, the historic center of the city has been listed by UNESCO in its World Heritage Sites’ list. The city is marked with several squares, palaces, and churches that give a glimpse into the bygone era. Metz gets overshadowed by Paris, Nice and other popular cities in France, but that does not make it any less amazing. Its best part is Metz Cathedral, known for its Gothic architecture and stained-glass windows. Other tourist attractions worth visiting in Metz are Porte Des Allemands, Temple Neuf de Metz, the 19th-century Museums of Metz, and Centre Pompidou-Metz, the museum of modern and contemporary arts. Nara was the capital of Japan for the most of the 8th century, during which period, it saw great prosperity. 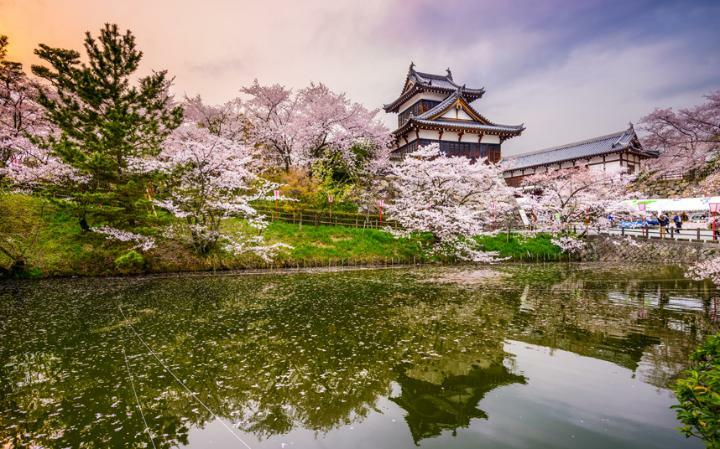 Dotted with some Buddhist temples, Shinto shrines, and excavated ruins of a magnificent imperial palace, it stands today as a center of Japanese cultural legacy. Nara Park, Kasuga-Taisha, Tōdai-ji, Heijō Palace, and Hōryū-ji, considered as the world’s oldest wooden buildings, are its must-visit points of interest. St Petersburg is undoubtedly one of the world’s most charming cities. Its art scene, impressive architecture, crazy nightlife and vibrant culture make it stand out among other Russian holiday destinations. Do not miss out on visiting Hermitage Museum, Peterhof Palace, Winter Palace, Peterhof, Church of the Savior on Blood and Russian Museum if you get the chance to explore this wondrous city. With its landscape dominated by lush forests, sky-piercing peaks, and Buddhist monasteries, the Himalayan kingdom of Bhutan is a paradise for any peace seeker. If you wish to spend some time amidst nature, away from the 21st-century developments, then this is the place you should visit. Paro Taktsang, Punakha Dzong, Tashichho Dzong and Gangteng Monastery are its visit-worthy sites. The Slovenian capital, Ljubljana, quickly became famous after being named Europe’s Green Capital in 2016, but still, stands as an underrated holiday destination. Besides for abundant greenery, Baroque architecture, riverside cafes and old churches add to its beauty. 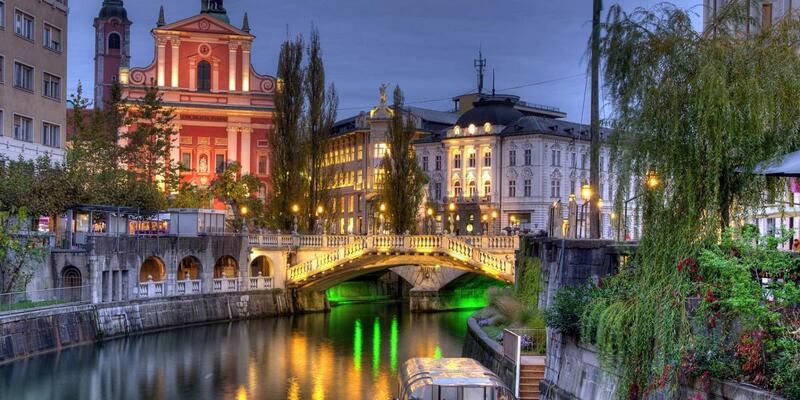 Ljubljana Castle, Dragon Bridge, Tivoli City Park and Triple Bridge are its renowned tourist hubs. The European country of Bosnia and Herzegovina has hidden many stunning things in his heart that is Sarajevo. It is a cultural center in the Balkans region of Europe, which embraces its religious diversity and is often referred to as Jerusalem of Europe. A trip to Sarajevo is not complete without a visit to Baščaršija, Sarajevo Tunnel, Latin Bridge and Emperor's Mosque. While its neighbors Argentina and Brazil draw a large number of tourists, Bolivia sees a comparatively very smaller footfall. It is home to several natural and humanmade marvels, such as the ancient city of Tiwanaku, Salar de Uyuni – the world’s largest salt flat – and the blood red lake called Laguna Colorada. Delightful and historical, Hoi An suffered massive destruction during the war with America a few decades back but has recovered gracefully. Carved with meandering canals, the city showcases a wealth of cultural and natural heritage. Japanese Covered Bridge, An Bang Beach, Hoi An Ancient Town and Phuoc Kien are must-visit here. Dalmatia lies on Croatia’s glittering coastline of several hundred kilometers; hence, bestowed with many picturesque beaches. The walled city is also significant regarding history, and is listed by UNESCO and this speaks volumes about it. Its palaces, monasteries, fountains, and churches are a spectacular example of Renaissance, Gothic and Baroque architectures. We would love to hear from you. Kindly use the comment box to share your thoughts and opinions with us. It would certainly be Croatia! Is it Tough to stick to your Fitness Regime while on a Vacation? What Is Your Favorite Monsoon Destination In The World? Which is the Best Beach Destination in the World For Honeymoon? What Is The Best Thing About Traveling In India? What Bugs You The Most About Talking To A Fellow Passenger? Do you have some suggestions about Tibet tour? Is it safe to enjoy journeyl in Houseboats? Which is good hotel in pattaya for indian couple from delhi india ...... near walking street . Things to do for a fun loving couple to enjoy night life ? What is the Price of Sobha Lake Garden?